Learn professional nursing techniques for delivering compassionate care to others. 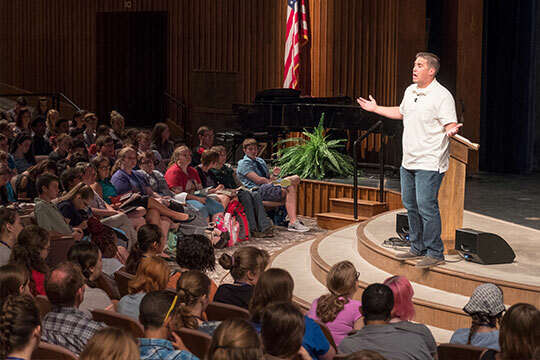 Learn fundamental skills at Nursing Camp, where you’ll practice nursing techniques that emphasize Christian values. Daily activities include practical instruction in nursing procedures for patient care, as well as practice in medical processes such as taking vital signs, administering medication, and more. You’ll also receive hands-on training in patient care, first aid, and CPR in the fully equipped nursing lab, where you can explore the sciences and study topics such as bacteria and blood typing. 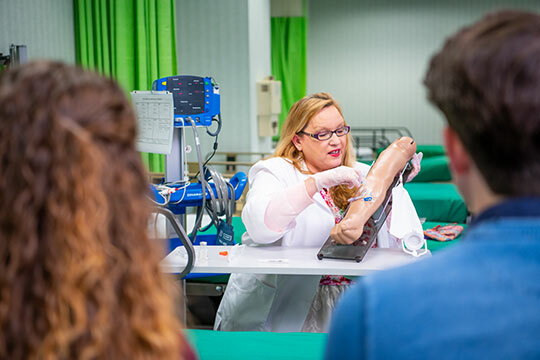 At Nursing Camp, Pensacola Christian College faculty, who are registered nurses and hold advanced degrees, emphasize the importance of exercising Christian values while attending to the physical needs of others. Building from a Christian foundation, your instructors will help you understand the preparation needed for studying nursing in college, which will greatly benefit you as you consider a career in nursing. Find out what makes Pensacola Christian College’s nursing program unique. See how to perform technical skills for assessing and caring for patients. Learn the importance of exercising Christian values while attending to the physical needs of others. Discover how you can “make a difference” in the lives of others through nursing. Tracey S. Haire, BA, DNP, RN has been an educator and nurse for 24 years. As an English teacher, Dr. Haire focused on providing a God-centered curriculum for grades 7–12. As a nurse, she continues to provide Christ-based care and instruction. Prior to coming to Pensacola Christian College in 2015 as nursing and clinical faculty, Dr. Haire practiced in the areas of adult, neonatal, and pediatric intensive care with a special focus and heart for neonatal transport. Dr. Haire’s love for young people and the desire to see them follow God’s will motivates her to lead PCC’s nursing camp. Providing an introduction to the nursing field and to some of the technical skills necessary to be an accomplished clinician gives campers an inside peek to serving God in this unique and rewarding profession.